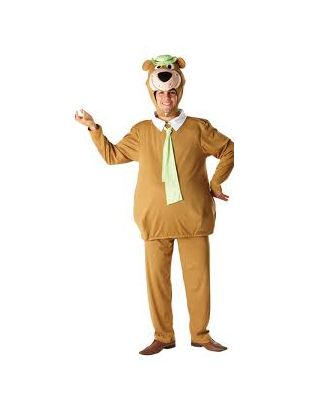 This classic cartoon character Yogi Bear mens costume includes a light brown tunic with attached white collar and green tie. 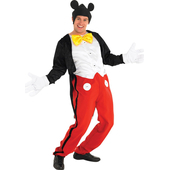 The trousers are a matching colour to top and feature an elastic waistband for added comfort. 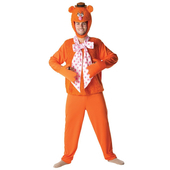 To complete this look a Yogi Bear character headpiece which ties around the neck is also included.